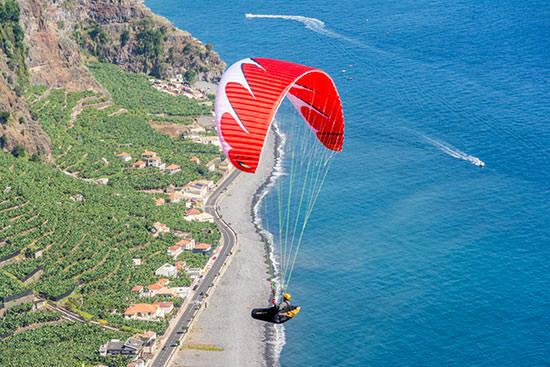 There is a vast array of opportunities to satisfy the leisure requirements of any visitor to Madeira island. The blue Atlantic ocean invites you to go sailing, big game fishing, whale & dolphin watching, surfing, jet-skiing, scuba diving and of course swimming. The sea temperatures vary between 18 to 24 ºC depending on the time of year. For the sub aquatic enthusiasts, the Garajau coast line offers one of Europe's first underwater nature reserves. Back on ‘terra firma’ and even in the air - there is a wide range of leisure activities available. As Madeira island’s Trekking hotel - we can of course offer you tours that are highly invigorating, exciting and hugely rewarding.